Previously I have written on the lives of some prominent deceased figures in the Islamic State-affiliate Jaysh Khalid bin al-Waleed that is located on the border with the Israeli-occupied Golan Heights. It might be asked whether there is any value in writing on people who are now dead. In my view, there is some value in these biographies at least from a historical perspective. 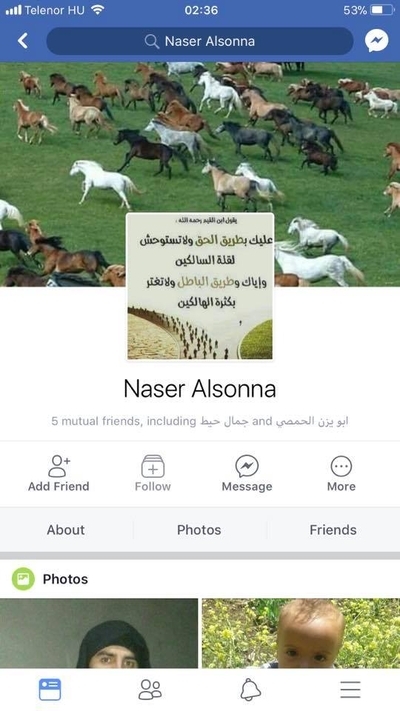 Even so, it may be of more use to explore individuals in Jaysh Khalid bin al-Waleed who are still alive, such as Naser Alsonna, whose name (NB: his Latin script transliteration) translates as "Supporter of the Sunna." For this biography, I am largely reliant on the testimony of a cousin of his who still resides in al-Rafeed, the Quneitra locality from which Naser Alsonna originates. In addition, some details have been corroborated by a media activist from the area who worked with Liwa al-Sabteen (a Free Syrian Army-brand group that is the main rebel faction in al-Rafeed) and has since left Syria. 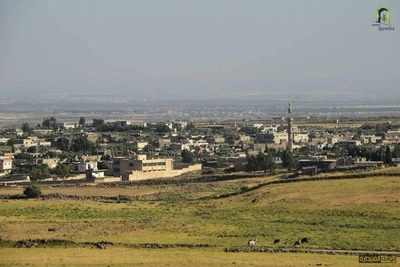 The locality of al-Rafeed is located along the border with the Golan Heights, with the current population consisting of original inhabitants and IDPs. The original inhabitants are primarily from the al-Nu'aim tribe (specifically the al-Abunami subdivision), reputed to have come to the area in the 12th century CE from the Homs region following a conflict with the al-Mawali tribe. They settled on the ruins of an old Roman settlement that was called Rafees. The locality possesses a number of springs, like the Umm Hawar spring, the little spring and the western spring, in addition to multiple springs on its peripheries. - al-Othman: al-Fanish, al-Afish, al-Halal, al-Dujan, Ismail Khasaba, al-Kharyoush, al-Daba', al-Ahmad. - al-Dhiyab: al-Zhahir, al-Halihal, al-Khoza'i, al-Ahmad. - al-Darwish: al-Hamada, al-Qusayban, al-Aboud, al-Ta'isan, al-Tawirish, al-Raffa. - al-Madha: al-Sawalima, al-Jalab Ali, al-Kabirit, al-Ghouri. - al-Zaban: al-Bashir, al-Zamal, al-Fawaz. - al-Kharfan: al-Uqal, al-Nadir, al-Faz'a. - al-Tahan: al-Sabih, al-Shanwan, al-Yusuf, al-Nahar. - al-Sultan: al-Bunyan, al-Nazal, al-Ghathwan, al-Faleh, al-Mukhaybar. - al-Sanid, also known as Nu'aimat al-Ta'a, which includes the al-Jabar, al-Mardini, al-Rashid and al-Qa'iri families. - al-Rafi'/al-Shuli, whose origins go back to Iraq and are not traced to the al-Nu'aim tribe. - al-Khidr, also known as the al-Subaihat, who are from the Banu Sakhr tribe whose origins go back to Jordan. - al-Dukhail/al-Obeid, descended from slaves. - Some very minor families of Kurdish origin. Closely tied to al-Rafeed demographically are the localities of Kudina, al-Batmiyya, al-Jukhadar, in addition to the localities of al-Zariqiya and Hamriyat in Damascus countryside province. In 2012, the locality of al-Rafeed fell out of the control of the government, which unsuccessfully tried to assault al-Rafeed in September 2013. As mentioned earlier, the main rebel faction in al-Rafeed is Liwa al-Sabteen, which was one of the first important rebel formations that emerged in the Quneitra area. Last month, Liwa al-Sabteen's leader, Abu Abbas, resigned. Besides Liwa al-Sabteen, the Syrian Revolutionaries Front has a presence in the al-Rafeed area. There is also a small Hay'at Tahrir al-Sham presence in al-Rafeed. Interestingly, it is said that a large number of people from al-Rafeed went to fight the U.S. invasion and occupation of Iraq (some 152 people), with at least three of them having been killed in Iraq. Two of those three people were killed in Fallujah. Some of the Iraq veterans had a role in forming Liwa al-Sabteen, including one Ali al-Rafi', who is currently said to be residing in Germany, and his brother Ala' al-Rafi' who was killed in 2014. Naser Alsonna's real name is Nour Allah al-Ghouri. He was born in 1975 and has a number of siblings. One of his siblings has been involved with Liwa al-Sabteen, another with the Syrian Revolutionaries Front, while the rest of them have remained as civilians. 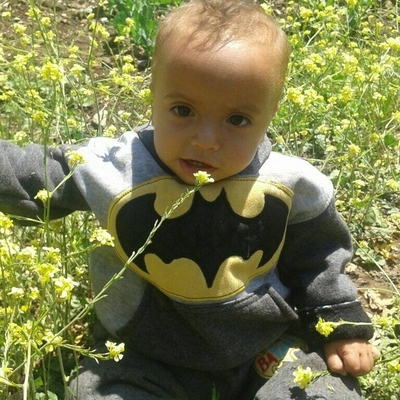 Naser Alsonna's deceased father worked in agriculture. Naser Alsonna studied in Damascus University and subsequently became an English teacher. He worked for a time in Saudi Arabia as a teacher and returned to Syria. He was already religious prior to the revolution, becoming a Salafi in around 2004. However, he did not participate in the Iraq jihad against the Americans. 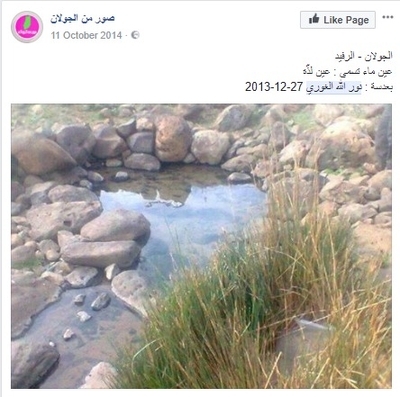 Photo of a spring in al-Rafeed taken by Naser Alsonna back in December 2013. After the revolution began, Naser Alsonna joined Liwa al-Sabteen, working with the group as a media activist rather than a fighter. 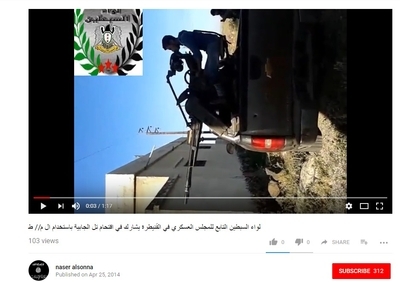 Corroborating this point is Naser Alsonna's own Youtube channel, which features videos from his work as a media activist for Liwa al-Sabteen but also has as its avatar a flag with the words "Islamic State" written on it, indicating his subsequent shift towards that group. Screenshot from Naser Alsonna's Youtube channel. Among his uploads is a June 2014 video on infrastructure repair by the local council in al-Rafeed. 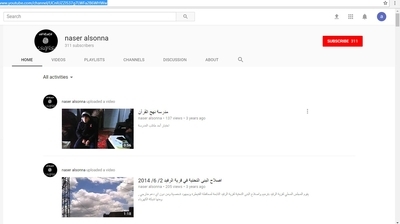 Another screenshot from Naser Alsonna's Youtube channel, showing that he uploaded videos for Liwa al-Sabteen. Screenshot of a Liwa al-Sabteen video from April 2014 uploaded by Naser Alsonna on Youtube. By 2015, Naser Alsonna had been expelled from Liwa al-Sabteen. He had begun to express sympathy for the Islamic State, arguing that they are Muslims and should not be fought. In addition, it is alleged that he had tried to use Liwa al-Sabteen's media office for personal matters. Even so, there is a reference to a Nour Allah al-Ghouri as involved in a pro-opposition body in the realm of education called the General Syrian Teachers Syndicate, in which a Nour Allah al-Ghouri is named in an August 2015 post as a member of the electoral committee for the general syndicate, representing the Quneitra branch of the syndicate in that committee. It is highly likely that the Nour Allah al-Ghouri mentioned in that post is Naser Alsonna. In early 2016, Naser Alsonna left al-Rafeed for the Yarmouk Basin in southwest Deraa, where Islamic State allies in the region had congregated. It is said that he currently works as a Hisba official in Jaysh Khalid bin al-Waleed. Photo of a baby posted by Naser Alsonna on his Facebook page. Naser Alsonna is not the only person from al-Rafeed to have joined Jaysh Khalid bin al-Waleed. Another individual is one Talal al-Fanish, who, like Naser Alsonna, had become Salafi some time ago. However, unlike Naser Alsonna, he was not originally in Liwa al-Sabteen but Jama'at Bayt al-Maqdis al-Islamiya (which had many Islamic State sympathizers in its ranks). After migrating to the Yarmouk Basin, Naser Alsonna himself is alleged to have encouraged three people under the age of 18 from al-Rafeed to join the Islamic State's affiliate there, one of whom he married to one of his daughters. All of them were subsequently killed in fighting with the Syrian rebels.